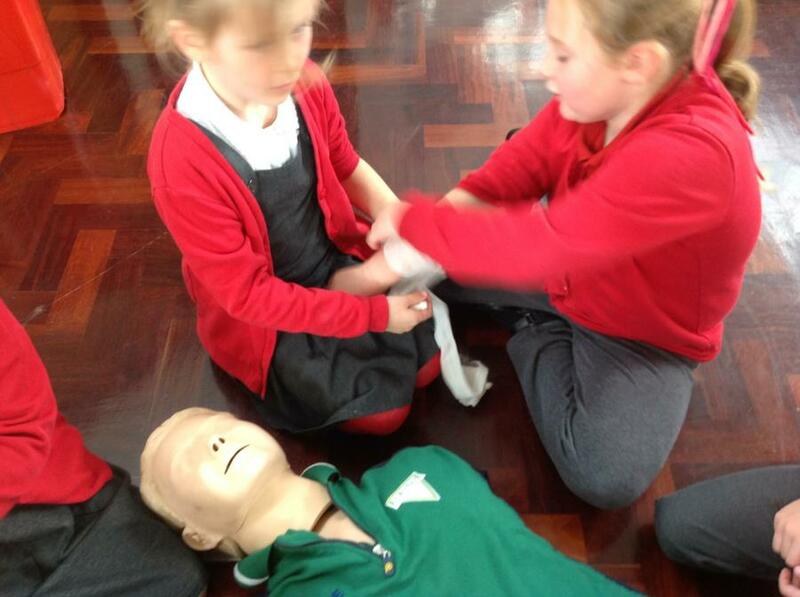 This afternoon year 3 have been learning some very important skills. 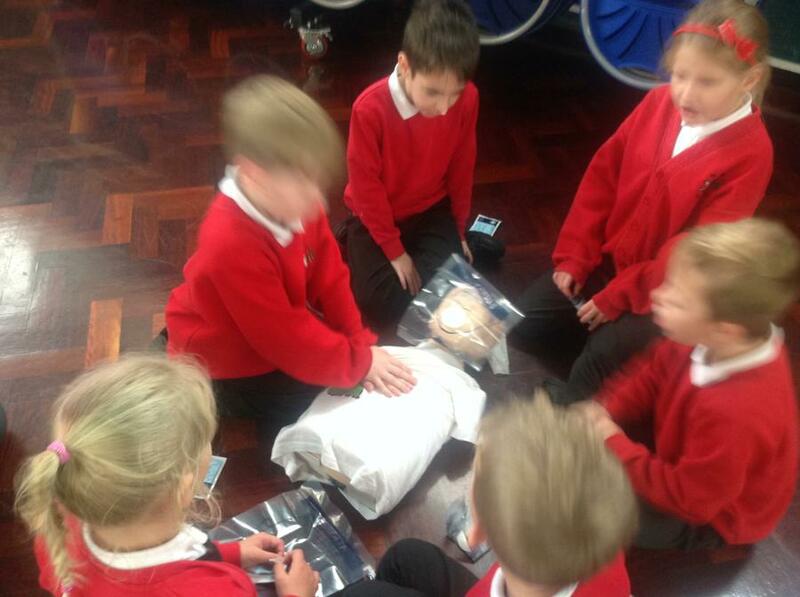 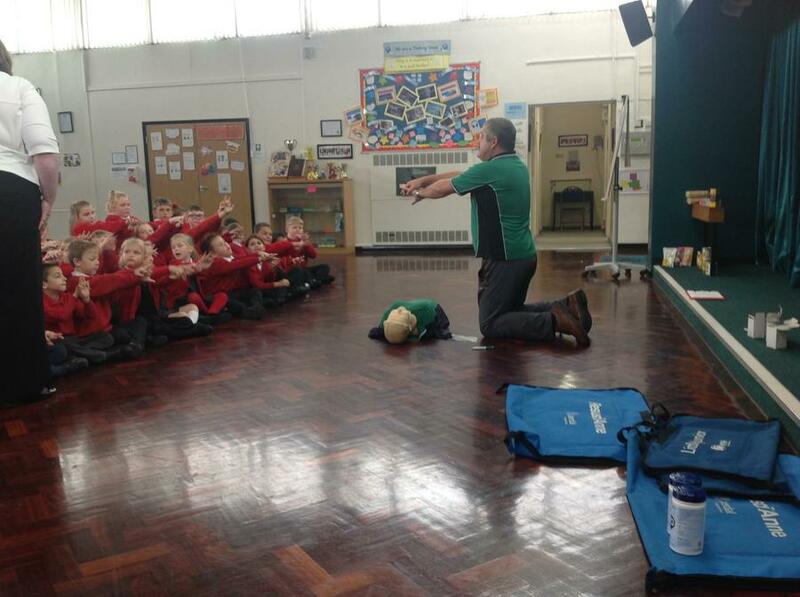 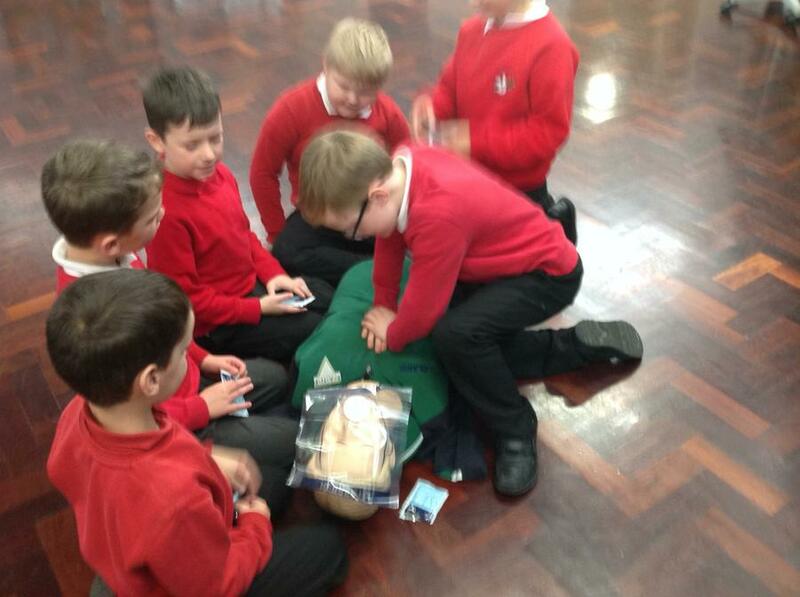 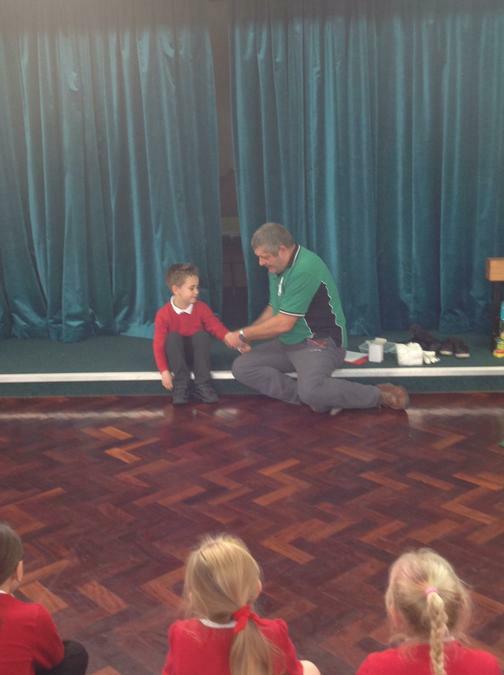 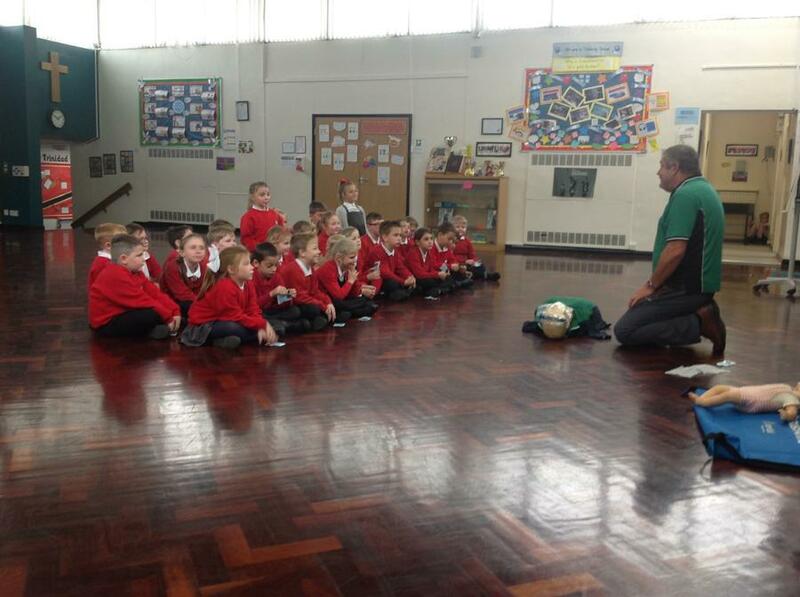 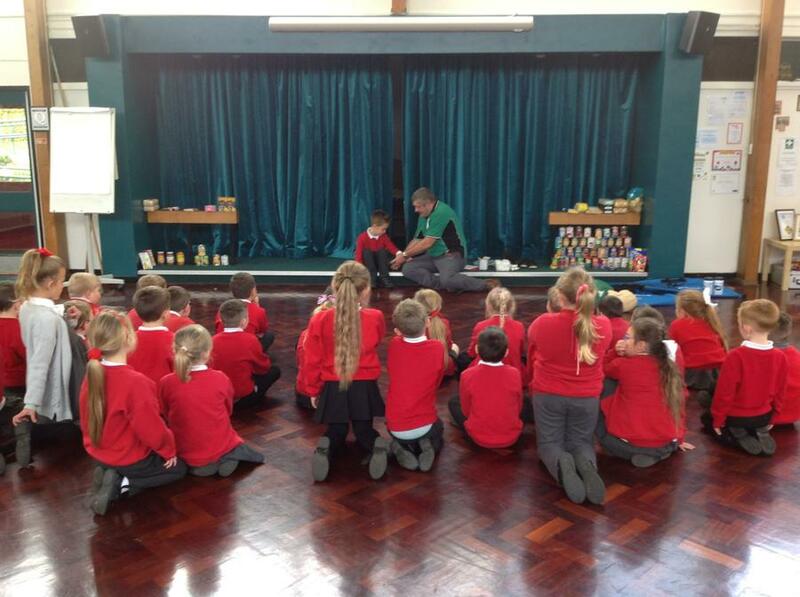 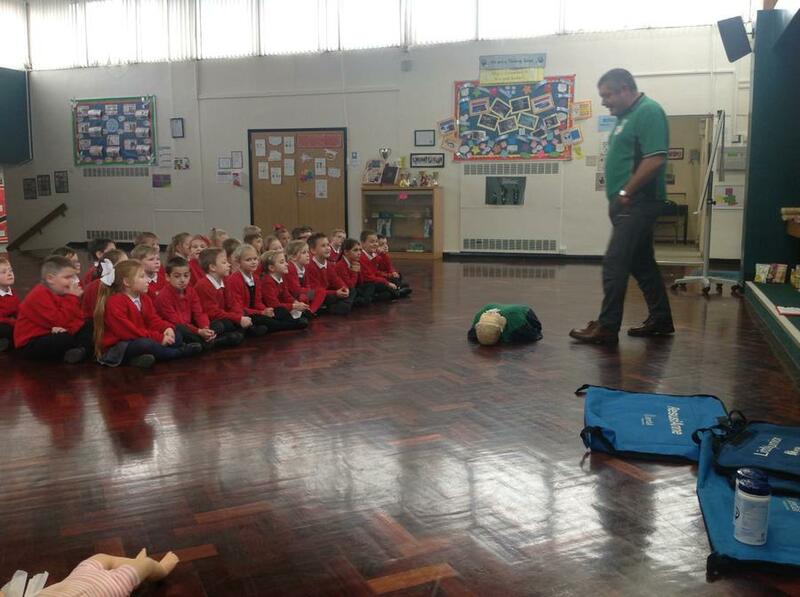 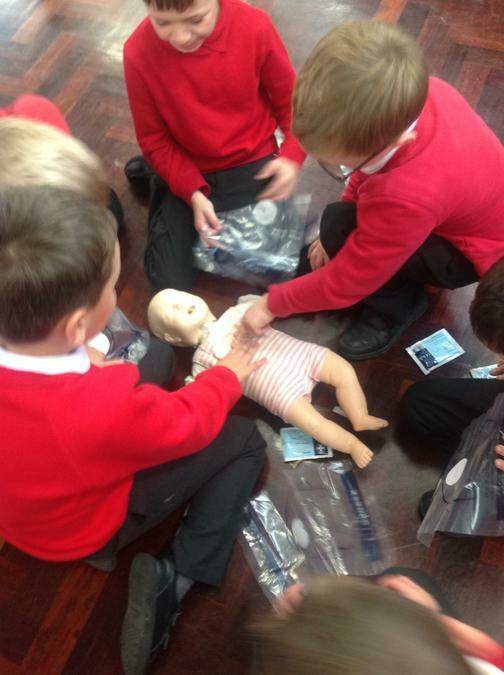 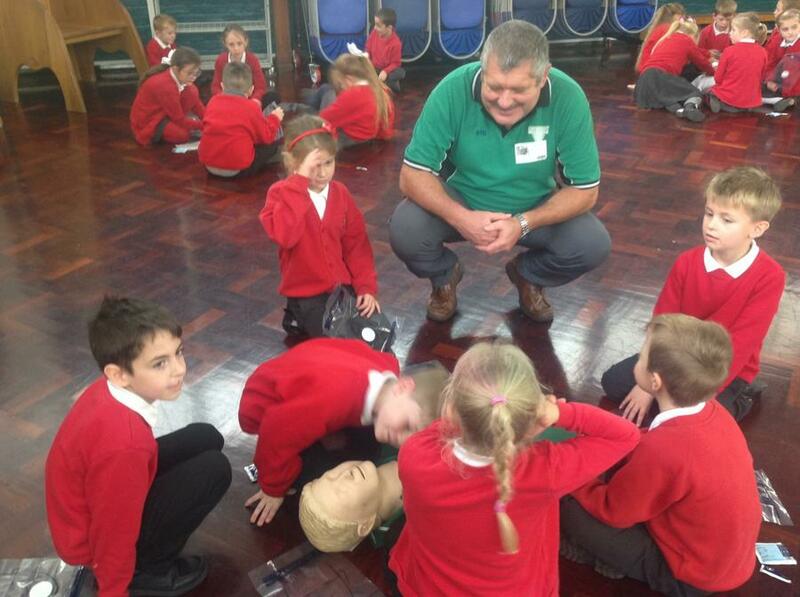 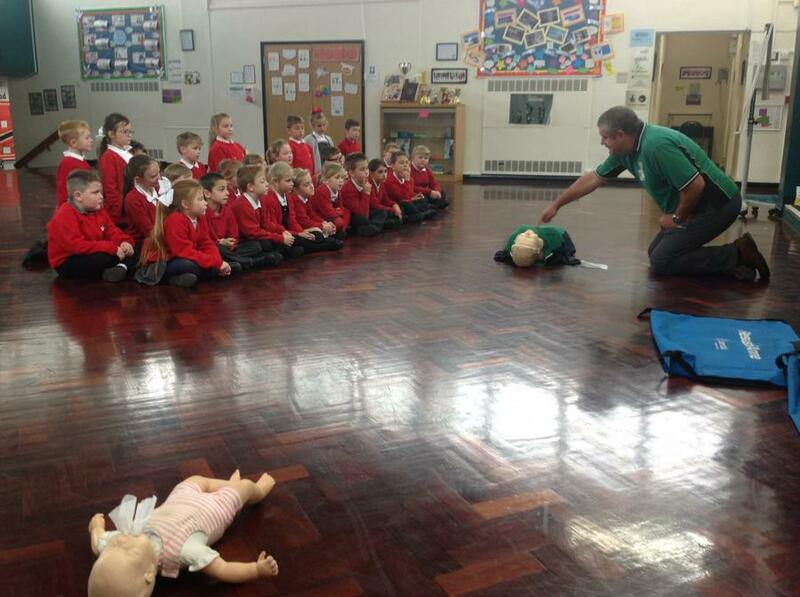 We learnt about how to do CPR on an adult, a child and a baby. 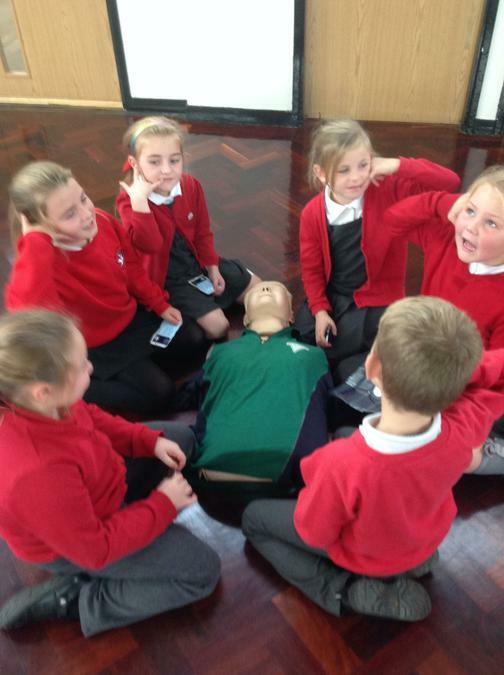 We know what safety checks to carry out before we begin CPR and we know a very popular song to sing to keep us on track. 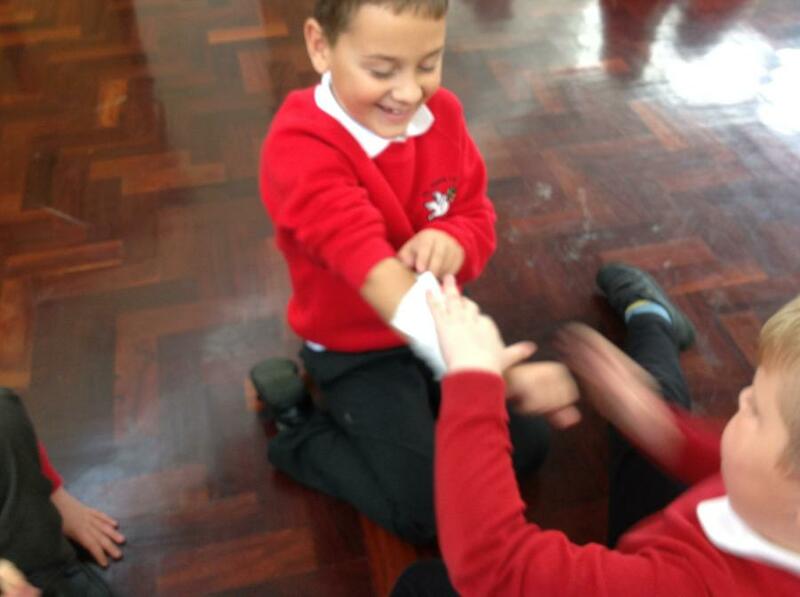 After we all had a turn at practicing our new skills of CPR, we went on to learning how to applying bandages. 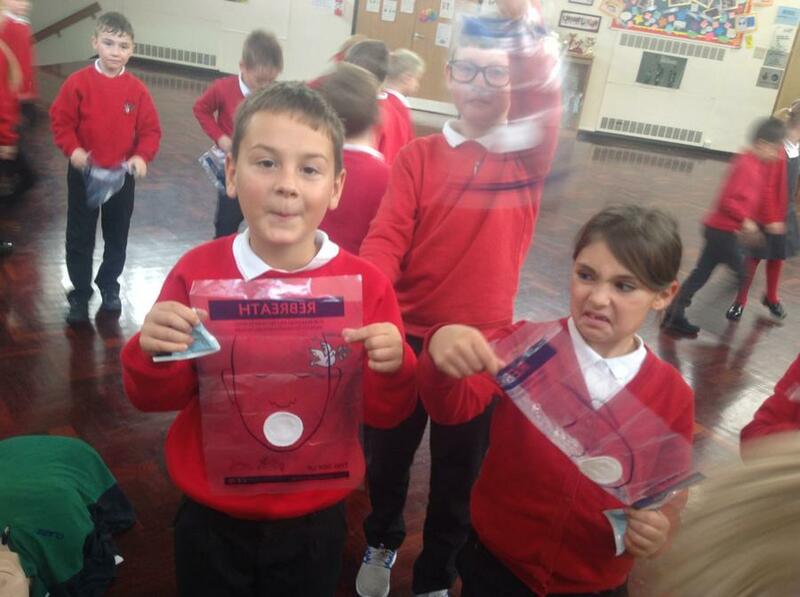 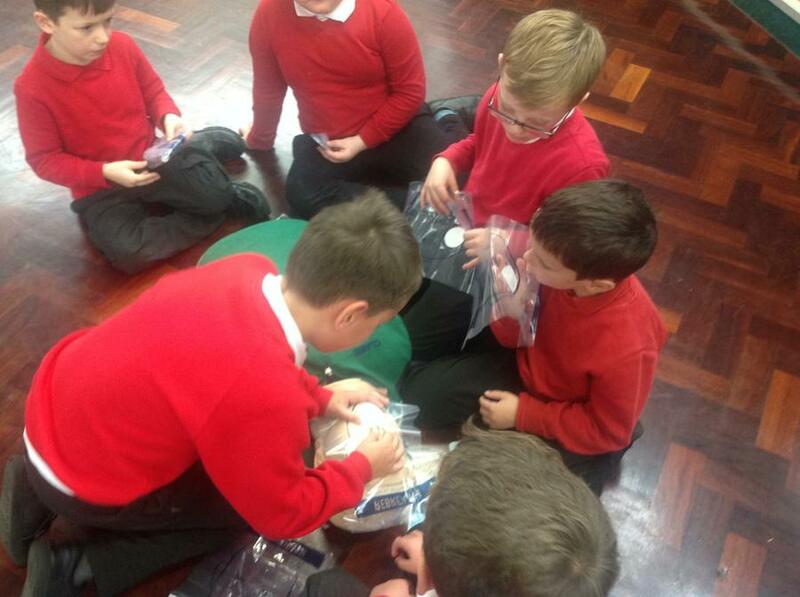 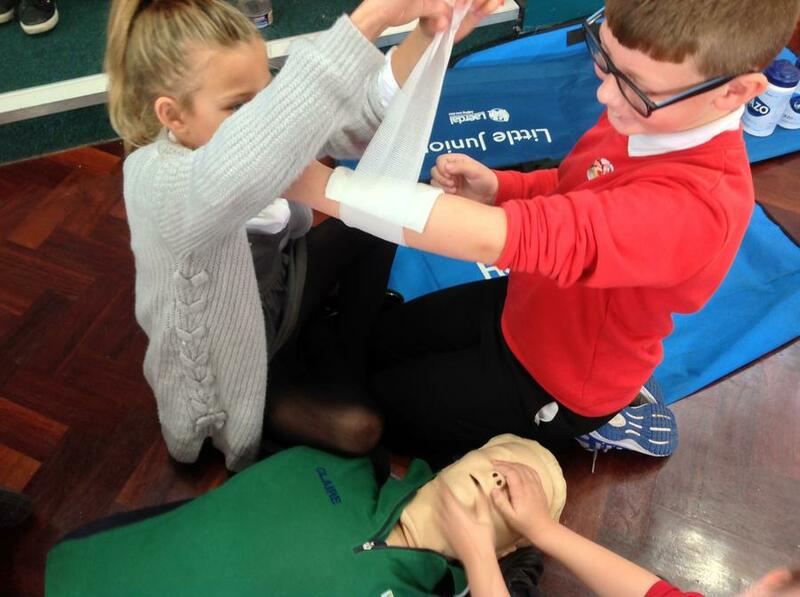 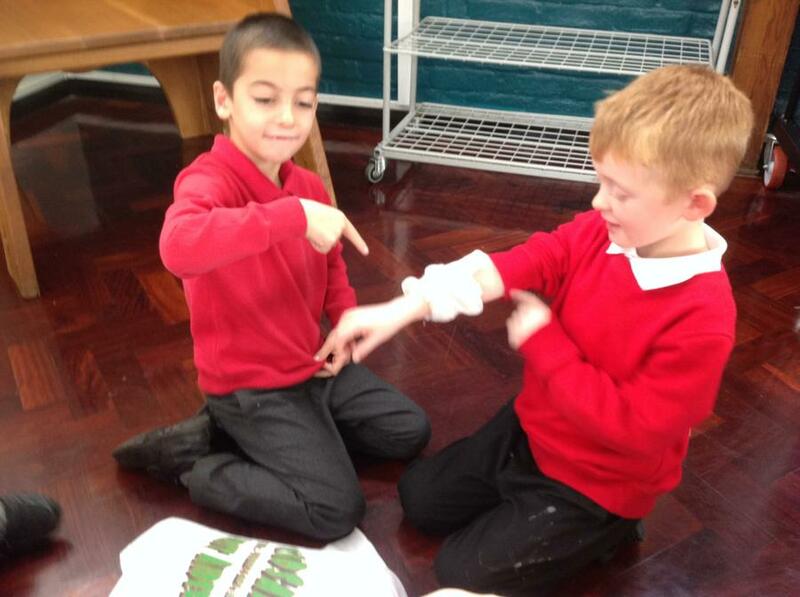 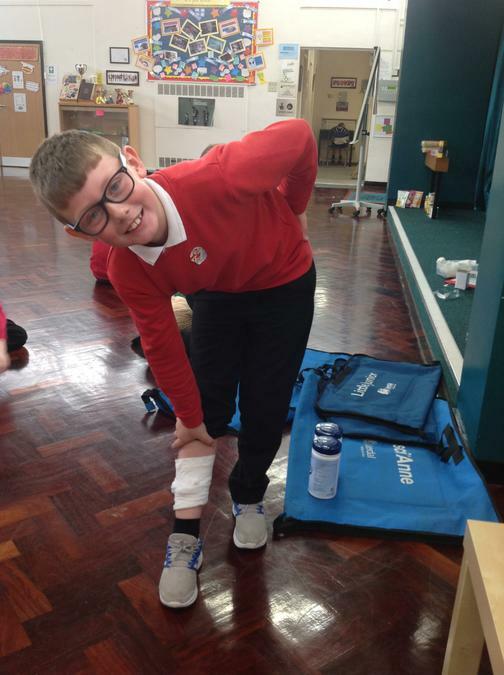 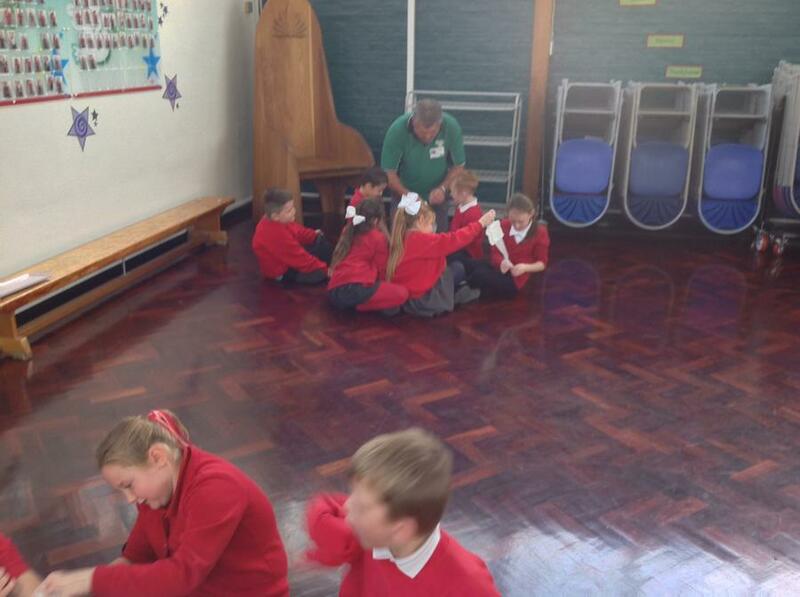 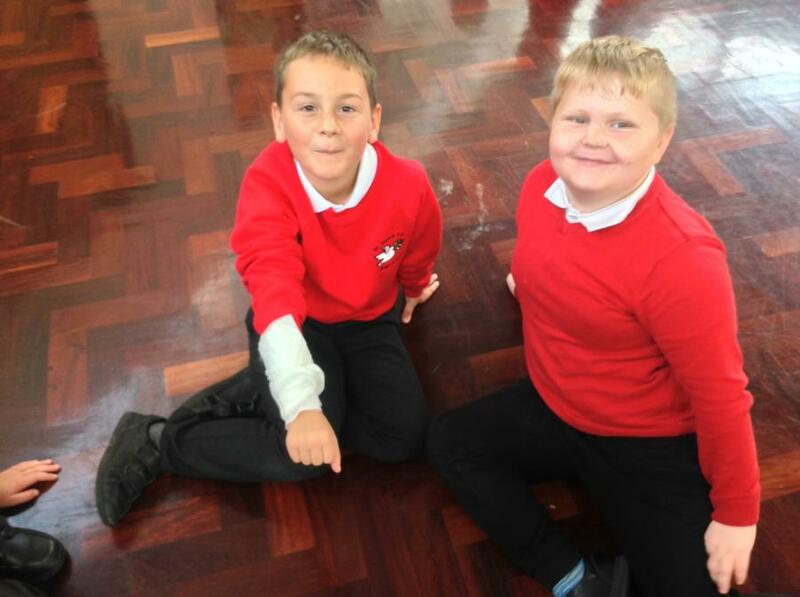 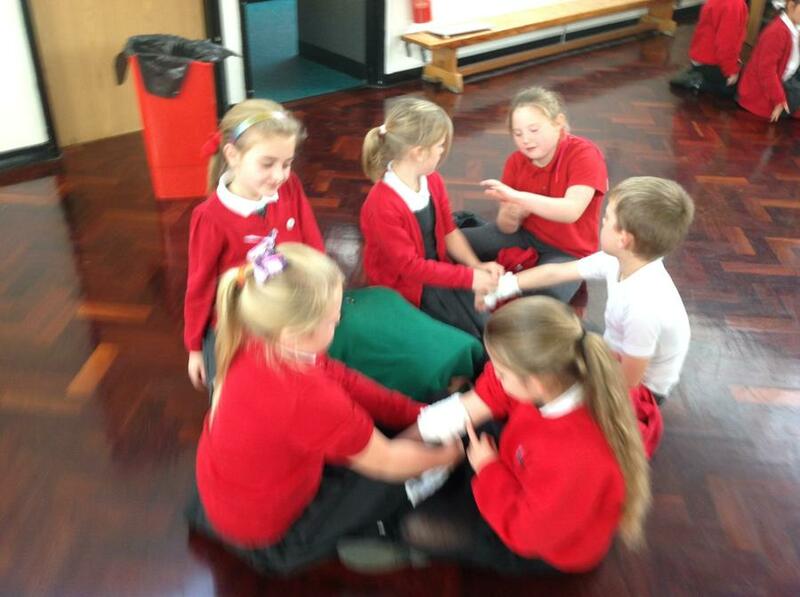 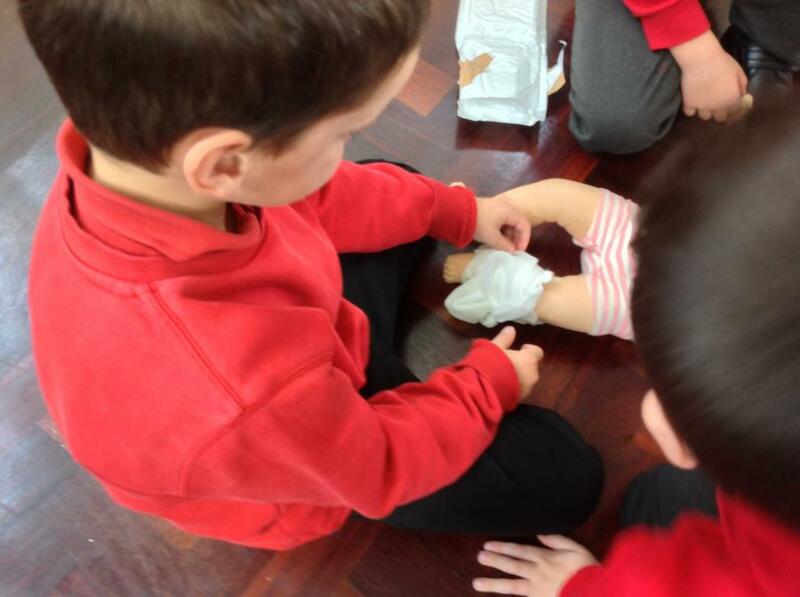 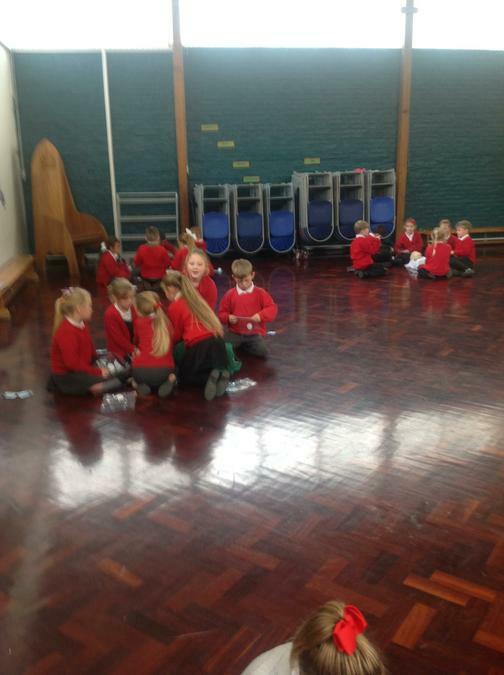 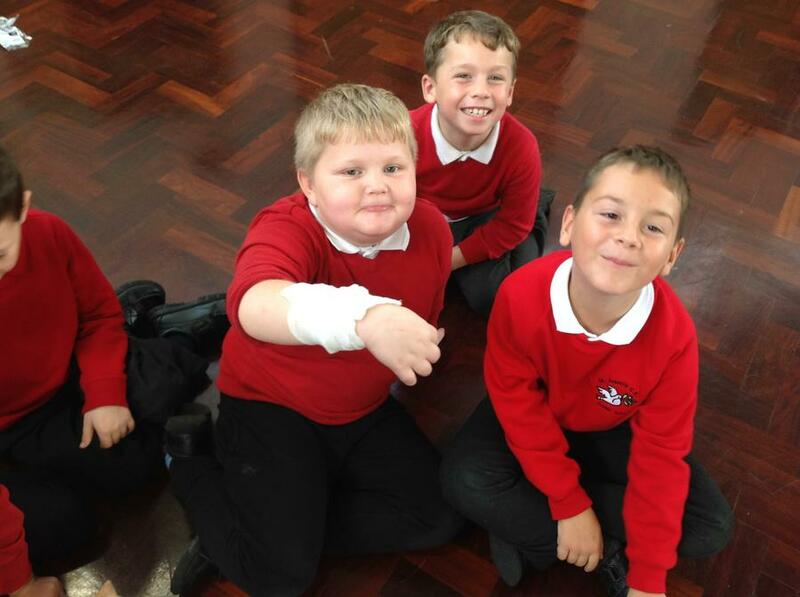 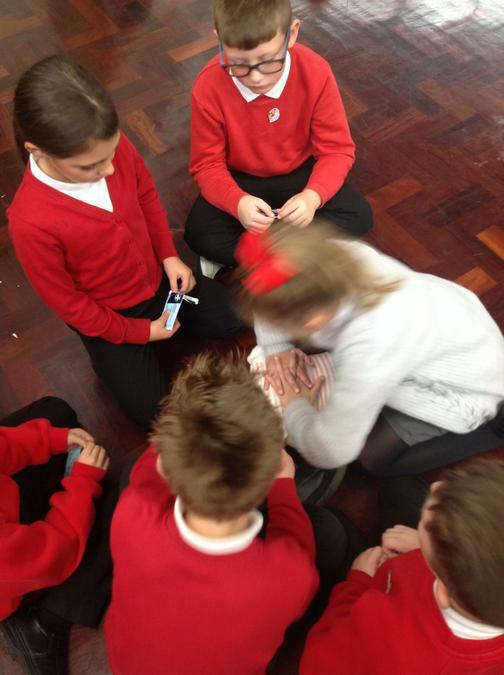 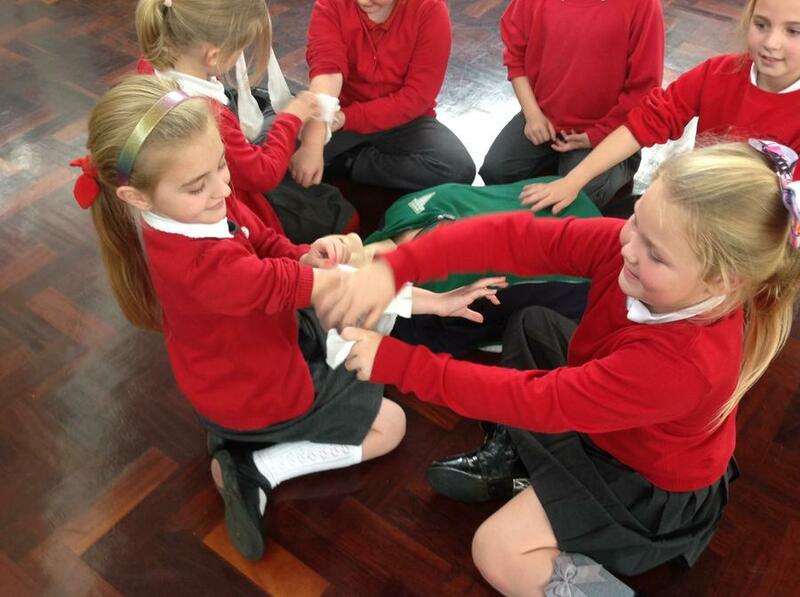 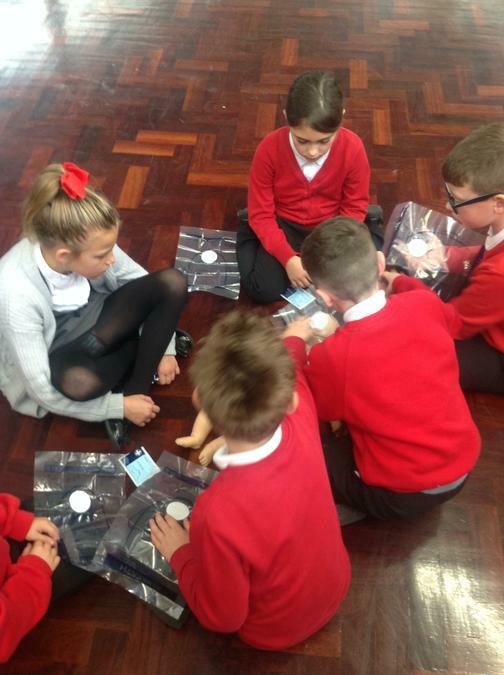 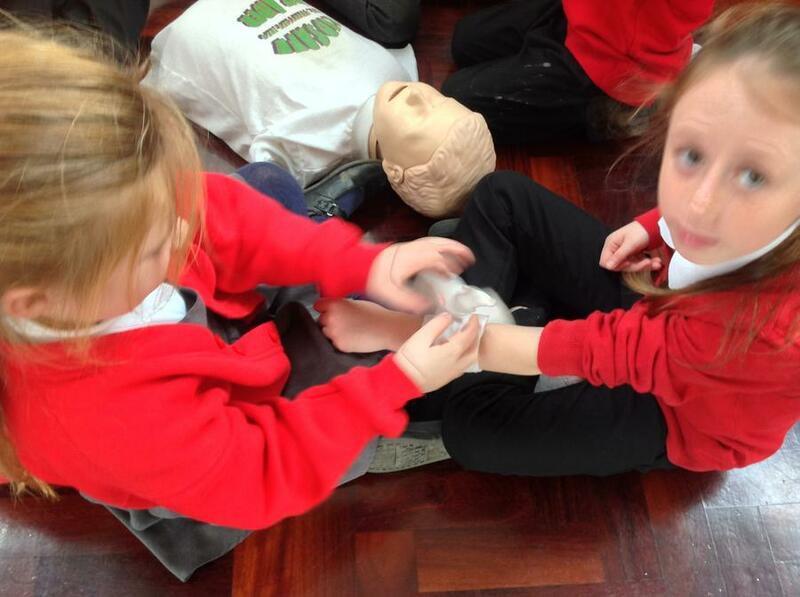 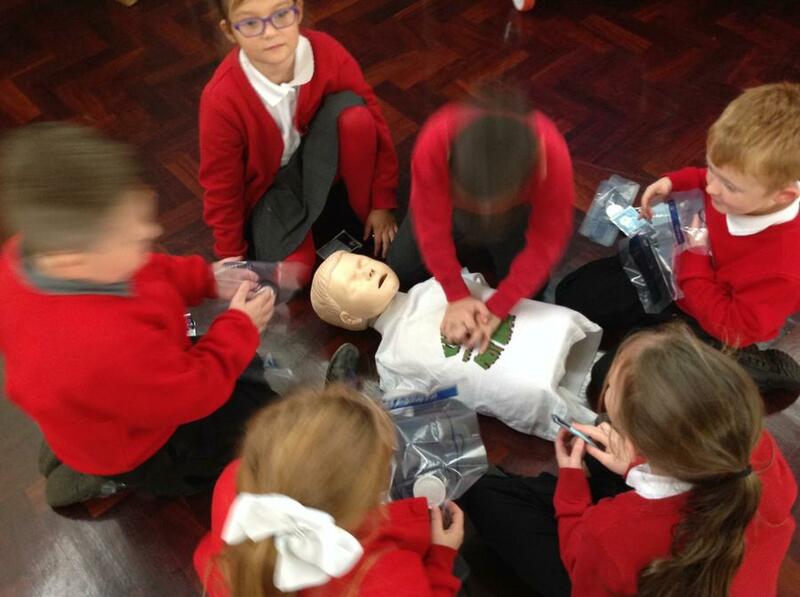 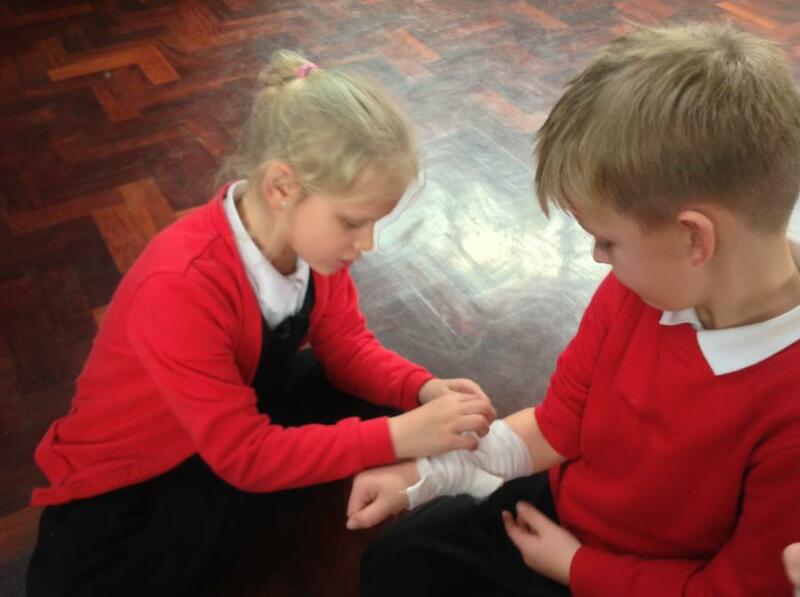 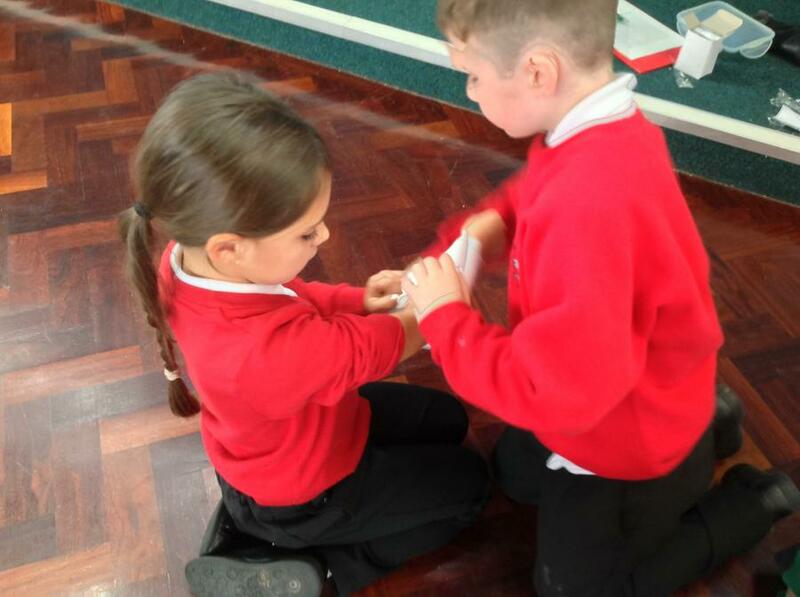 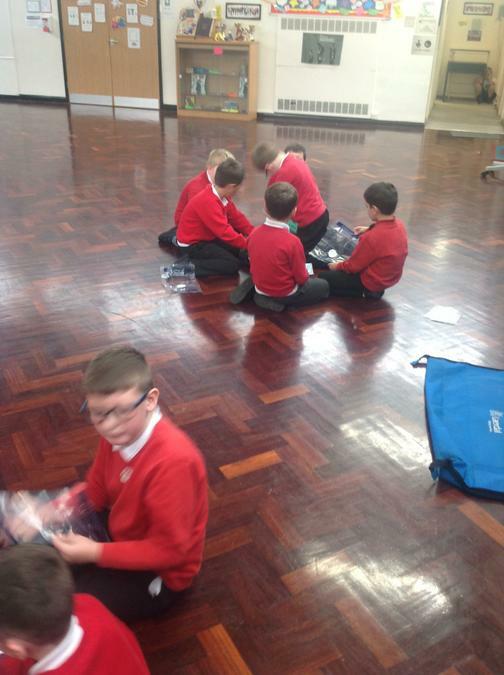 We had lots of fun patching each other up but we have also learnt some amazing skills that could help save lives.